A three day trip to Bilbao, Spain reminds me of some simple solutions to apply to Rome. Of course, these are two different cities. Rome has multi-millenial cultural heritage, Bilbao much less. Rome has three times the population, and a much larger tax burden. Oh, and Bilbao is cold and rainy compared to Rome. So, potentially, Rome has more resources and greater attraction, and yet Bilbao is without doubt more livable. Much has been written about the Bilbao effect, the result of choosing a “starchitect” like Frank Gehry to design a new Guggenheim Museum where a great landmark building and a good international marketing machine make up for a not-so-impressive collection. (Except for Richard Serra that is). 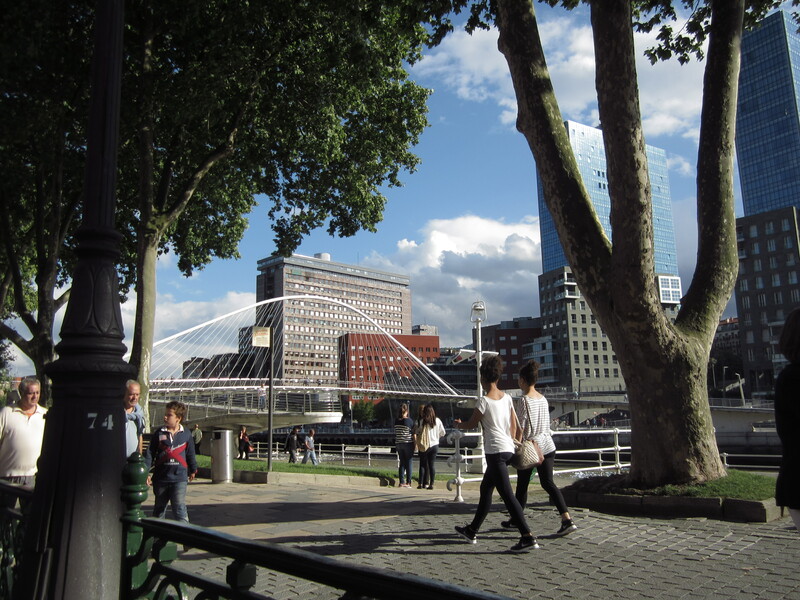 But the Bilbao effect I saw these days was more about public space, sustainable mobility and the rehabilitation of the urban riverfront. 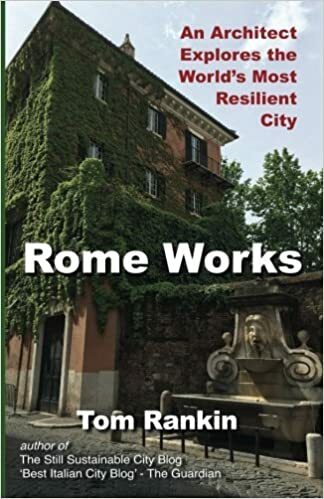 All lessons that could be applied to Rome in a few short years remaining in Mayor Marino’s term, if he stays in office. 2013-2014 No change so far but let’s give him the benefit of the doubt, change takes time. It has been surprising, however, to see the same disregard for civic behavior by many civil servants in this administration as the last. I would have thought that enforcing parking and littering laws would have gone into effect on day two of the administration. 2015 All pedestrian zones are cleared of motor vehicles and protected by appropriately designed street furniture. New pedestrian spaces, such as Via dei Fori Imperiali, are furnished with new street furniture, seating, lighting, bike racks, etc. 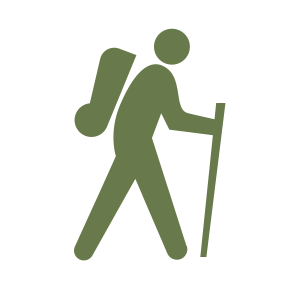 As a result, the average visitors’ stay increases to 3 days. 2016 At the Tiber Riverfront, public competitions for light infrastructure and artistic programming proposed for years by Tevereterno are carried out to revitalize the urban riverfront and create Piazza Tevere as a new cultural magnet for Rome. Traffic along the Lungotevere is reduced, sidewalks are widened, high-quality cultural programming is supported in place of low-quality commercial actives, and the river starts to return to the city as a public space. As a result, the average visitors’ stay increases to 4 days and many young Romans decide to stay and start ventures here rather than emigrating. 2017 A thousand kilometers of new bike paths are created in the city by removing on-street parking, while widening and protecting sidewalks. Car-ownership and traffic mortality drops and Romans start to emerge from their cars and spend money at local businesses again, instead of shopping malls. As a result, the average visitors’ stay increases to 5 days and foreign businesses start to look toward Rome as a respectable city in which to invest. 2018 Six new tram lines are inaugurated and integrated with the existing surface bus system (which has since been contracted to a Swiss company to manage according to a precise schedule) and the Metro system which is now open 24/7 and cleaned by former mid-level managers removed from their office posts for lack of productivity. The city is now a model of resiliency, having rebounded from the near collapse of 2014. Its cultural heritage and world-class public spaces can now be appreciated by all its residents and visitors (including the children, elderly and disabled who in 2014 were unable to use the streets dominated by automobiles). Note that no big investments or “starchitects” were necessary to bring about this urban renaissance, just an administration with courage and a strategy. Starting 2015 with the optimism which inspired this post last summer. In some respect I agree – in the general perspective. However, what is “high-quality CP” and please add: it has to be accessible for everyone and not commercial; “what is low-quality CA”. It may be that it means the undermining of activities that are for many the only way to survive.